You need to carry a warning triangle in your car by law in most European countries, and if you're driving in Spain you'll need two. 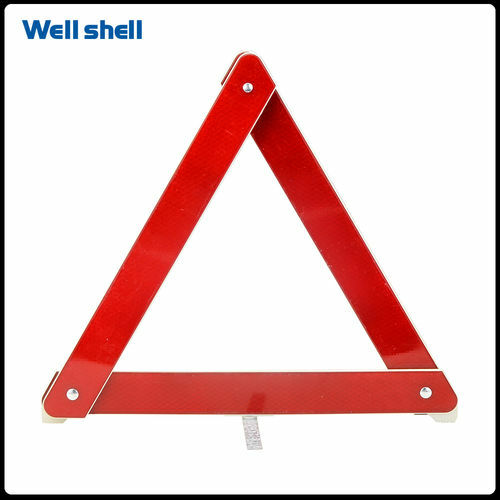 This sturdy breakdown warning triangle can be placed at the roadside to give on-coming traffic notice that there is a broken down vehicle ahead. The triangle has reflectors on one side to reflect the headlights of on-coming traffic. 4 metal legs open up for support.The triangle folds flat and is stored in a plastic case.